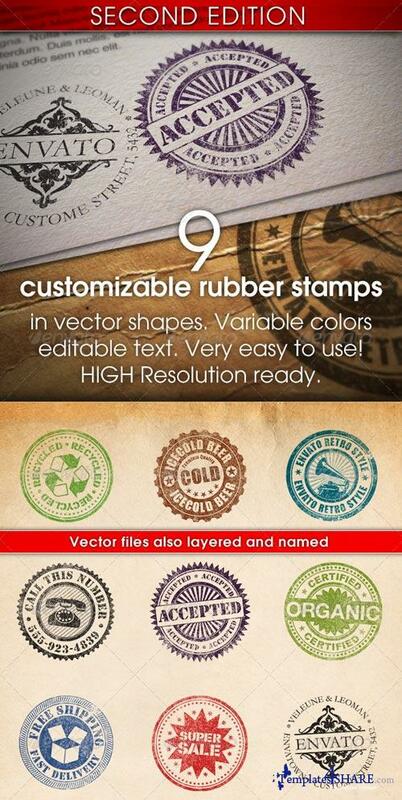 Second edition contains 9 new vector shapes. They are also in smart layers. Still easy to use, edit and customize. Organized layers, even in the vector files. High resolution ready, with the high resolution mask. There is new feature which has a smart layer in perspective, realistic view, still easy to change the stamp. It had a Depth of field effect on it.